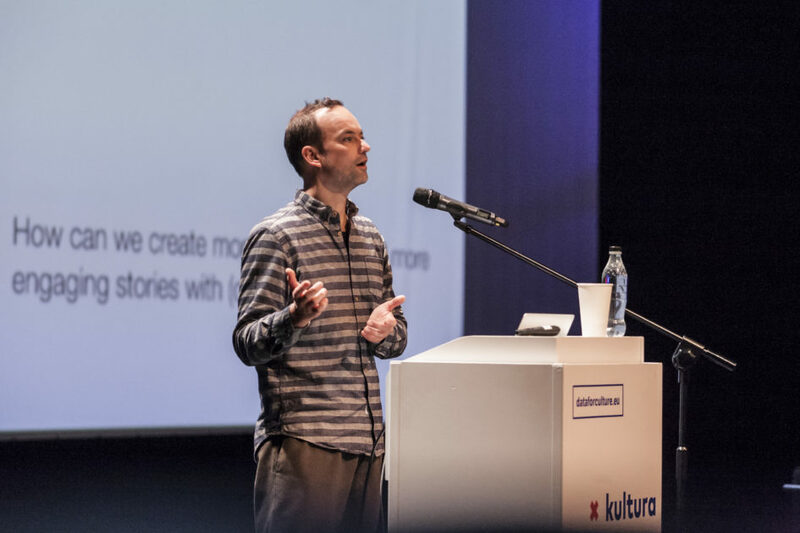 Medialab Katowice published an e-mail interview with me, as part of the Data (for) Culture conference in Katowice at which I spoke in December 2017. Łukasz Mirocha (LM): Generally speaking, what is the role of data in the city of 2018? What value has it for different actors: municipalities, citizens, local and non-local businesses? Michiel de Lange (Michiel de Lange): The role of data in today’s cities is already pretty huge and will only become more important. Data are being used extensively by many cities throughout the world for a variety of purposes, like monitoring infrastructures and services, crime fighting, managing traffic, pedestrian flows, social media monitoring, risk analysis, and much much more. Now, issues that concern me are among others that, first, this deployment of data tends to be primarily about management and control, and second, this tends to obscure from sight and scrutiny the myriad of implications for public urban life. As for the first, my colleague Karin van Es already pointed out in the interview you did with her (https://blog.medialabkatowice.eu/en/karin-van-es-data-driven-approaches-are-often-particularly-good-at-raising-new-questions-which-may-need-to-be-answered-with-different-methods/) that data never speak for themselves. As we know, data are not given but taken. This process of taking data, and constructing a certain image of reality through data, I find very intriguing on an epistemological level. What kinds of knowledge does this foster, what cannot be know, what remains hidden from sight? Recently, I have explored this theme in a ‘Critical Making’ workshop about urban data (https://co.laborations.nl/2018/03/21/report-workshop-critical-making-of-frictional-urban-interfaces/), which involved interdisciplinary teams of Humanities and Arts students and creative coders working together on imagining the possible narratives behind data creation, by following an approach called ‘data dramatization’ (as proposed by Memo Akten here: https://medium.com/@memoakten/data-dramatization-fe04a57530e4). As for the second issue of urban publicness, a yet untapped potential seems the uses of data for engaging citizens with their environment, and allowing them to have a say in the future of their cities. That is a longer-running programmatic theme I am interested in. LM What was left from the Smart City idea from the early 2000s? Has the corporate vision of smart city that is based on closed, proprietary data management services and solutions prevailed or there is still hope for the participatory, open-data smart city? How does it look like in the Netherlands and at the EU level? MdL Businesses seem to move away from the initial overblown promises of the smart city as technology-driven urban management, and instead appear to turn to practical applications built on the Internet of Things. However, I believe that civic discourses around the smart city have gained a solid foothold. This people-centric perspective is supported both in and outside of academia, by funding schemes, programs, organizations, researchers, artists, designers. For example, I am part of a recently awarded Creative Industries project called “Designing for controversies in responsible smart cities” (https://www.nwo.nl/en/news-and-events/news/2018/01/four-new-research-projects-into-transformations-of-cities-and-urbanity-in-relation-to-the-creative-industry.html), which is a collaboration between two Dutch universities, the municipality of Amersfoort (a mid-sized centrally located city in the Netherlands), and various private partners. In the next few years we’ll investigate ways of engaging people with smart technologies by focussing on the frictions they engender. By involving a Law Office as a partner, legal questions about data ownership and proprietary vs. open data shall be addressed as part of our project. These are controversial issues, that have not yet been adequately publicly discussed. It is my hope that by focussing on such controversial issues, we shall be able to tell better stories about the civic datafied smart city. These stories will be very different from the frictionless, sanitized and boring technology-driven smart city visions. Precisely because they highlight frictions and struggles, they will actually be more believable and relatable. LM What is at stake here, are there any alternatives to data commons / data sharing? What would be the consequences of outsourcing city-related data management services to actors using proprietary standards and services? MdL In the Netherlands and in the EU there is a strong push for safety, as we see in efforts to expand the rights of government intelligence to collect and store data. Together with proprietary commercial interests in data, I think this is often at odds with the demand for more openness and the public potentials of data. We need to seriously consider whether key public services can be outsourced to commercial parties. This is a political question of how to best organize and safeguard public services. Bottom line questions at stake in any municipal data project are: who actually benefits, how can the project best help to strengthen public values? LM What are the ways and strategies to enrich citizens’ life in the city through applying open data and urban data commons strategies? MdL Data can help foster a civic commons in multiple ways. For example, data can help to create new publics around shared issues of concern, to visualize and hence make actionable otherwise abstract problems like air pollution, to create strong narratives about public concerns and ideals (what kind of city do we want? ), and to pool resources to sustain collective efforts and contribute to the commons. I have written about this a draft paper (http://www.bijt.org/wordpress/wp-content/uploads/2006/01/Michiel_de_Lange-Datafying-the-commons-of-data-and-smart-citizenship_draft-v01.pdf), which is to become a chapter. LM What municipalities can do to encourage citizens to take part in the participatory model of the smart city, to basically co-create the smart city in cooperation with municipalities and other actors? MdL When we focus on the data part of participatory smart cities, in my view cities have to work hard on creating accessible, meaningful and empowering data interfaces. I am not a policy expert but I do have some rudimentary suggestions. On the procedural level of policy, this means involving a variety of groups and people, making sure their voices are heard and actually taken into account, allowing data platforms to be writable (citizens can contribute data themselves), and experimenting with productive formats for data-driven dialogues that are situated in meaningful places and events, rather than online only. On the conditional level of policy, it means safeguarding the public nature of participatory smart cities. That is more challenging I guess, but we can think for instance about commons-based licensing systems (e.g. Creative Commons), determining clear indicators to assess public benefits of data, policy measures that stimulate sharing of data, the formation of self-organized civic institutions and the inclusion of broad segments of society, and measures that protect public data resources from misuse and freeriders. LM To what extent city-scale data commons solutions can be useful in implementing grass root / citizen-initiated services and projects that are based i.a. on sharing economy or participatory budget? I am interested in the role of sharing economy in a wider ecology of pro-citizen strategies and policies. MdL In my view, such solutions can only be useful when they do not merely support experiment but also prescribe or codify what happens with the results, and who benefits, and makes sur that this passes the keystone of the public interest. Hence, in order to strengthen the public qualities of civic initiatives, the conditional, institutional level of (data) policies are just as important as the ‘urban labs’, the experiments, the prototypes, if not more in the long run. Otherwise, sharing economy is just another word for neoliberal lassez-faire capitalism in which the social domain too becomes monetized. Moreover, not all citizen-led action is inherently good or desirable, so there needs to be a way to debate and negotiate desirability. Previous Post 1 PhD + 1 postdoc position new NWO project ”Designing for Controversies in Responsible Smart Cities” deadline 20 April '18 Next Post New chapter "From real-time city to asynchronicity: exploring the real-time smart city dashboard"